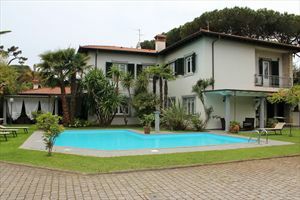 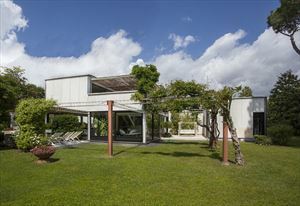 Villa Augusta is a charming single real estate located in the centre of Forte dei Marmi, close to the sea: just 200 mt. 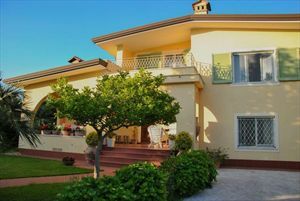 The villa is built in tuscany traditional style and the forniture is a blend of classic and contemporary, furnished elegantly. 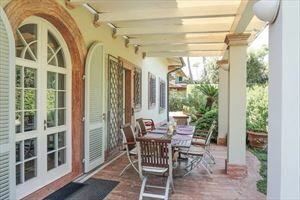 Real estate is involved in a snug garden in which we find a pretty terrace, where you can relax or eat outside. 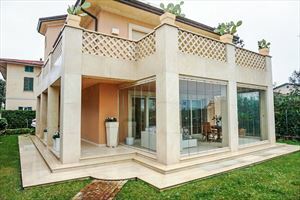 ground floor: main hall entrance, saloon, kitchen, bathroom with precious marblescapping, one double bedroom. 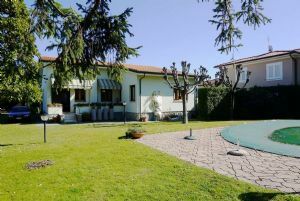 first floor: large double bedroom own private bathroom, 2 double bedrooms, bathroom with the bath. 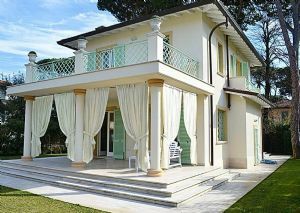 Mansard: single bedroom, bathroom with the shower.